The health benefits of organic food far outweigh the cons of organic food. I encourage reading this article...knowing the cons will help you to appreciate the benefits! There are many advantages of organic food and there are also its disadvantages. Just because I am writing an article pointing out some of the disadvantages of organic food certainly does not mean that I am against it in any way. Rather, knowing some of the cons of organic food will help you to better understand and appreciate the benefits. 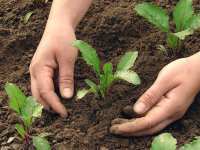 Most of the cons of organic food are related to organic farming practices. The term “organic farming,” means fruits, vegetables and even meats that are grown without the aid of chemical fertilizers, pesticides, or herbicides and in the case of meats, no hormones or antibiotics and nothing genetically modified (GMO's). Here is a list of cons of organic food. 1. Price – Many times the word “organic” brings to mind another word — expensive. Organic food usually, if not always, is more expensive than conventionally grown food. If you believe that you'll get what you pay for and believe in the health benefits of organic food, you will gladly pay extra for “clean food.”I have found that sometimes the higher cost is only pennies higher, or I can usually find organic produce on sale at my local supermarket which puts them at the same or lower price than their non-organic counterparts. 2. Diversity – We live in a world of sameness when it comes to food. We have been trained by processed foods on what to expect, what it is supposed to look like and to expect it to look the same all of the time. In the world of fast food, no matter where we go, the exact same hamburger will look and taste the same. Conventionally grown produce shows similarity as large scale commercial farmers strive for uniformity of their products. Organic food shows diversity which is a very good thing. Many times organic farmers strive to preserve old fashioned and heirloom varieties and even oddities such as green colored (fully ripe) tomatoes. Although these odd varieties are not big sellers since they are are different than what acceptable produce should look like, diversity in organic means interesting, tasty variety. And it is ALWAYS good to support the heirloom varieties since they ensure that we can use the seeds to grow more food (unlike storebought varieties). 3. Small Production – When growing organically, the farmer lets the plants and their respective fruit ripen according to their timetable. This can lead to smaller production as compared to large commercial farming practices. Uses of treated seeds and chemical growth enhancers stimulate production and larger crops, but you will also be eating these chemicals. 4. Certified Organic – No matter how “green” your farming methods may be, to get the coveted official USDA certified organic seal you have to prove and be certified that you are truly organic. This will take some money, being in contact with a certifying agent, lots of questions to answer, etc. The upside is that once you are certified then you can sell your produce at a higher price. And for those who raise organic animals for meat and meat products, all of the ingredients going into the final product must be also “certified organic” to be sold as such. 5. Time Constraints – Growing organically means extra work, extra care, and yes, extra time invested. There are time constraints since the organic farmer allows the plants to grow at their own pace. Since crops are not artificially manipulated into producing according to the growers production schedule, the produce may take longer to mature. 6. Shorter Shelf Life – While lack of chemicals may be good for many things, this same lack leads to a shorter shelf life of the produce. To get the freshest organic food possible, buy locally from a organic farmer and plan to use your food in a few days. Follow this link to find a local organic farm near you. 7. Bugs! – That's right! If you find a bug or two in your organic lettuce, don't panic! Instead of being one of the cons of organic food, realize that if the little bug finds your lettuce safe for him to eat, rest assured that it is safe for you, too. Just flick the buggy out the door before you wash your lettuce and then enjoy your food. This list of the “downside” of organic food will perhaps give you a deeper appreciation of the goodness of organically grown food. 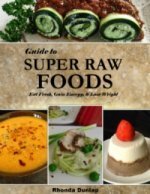 Guide to Super Raw Foods! Guide with Over 50 Recipes! I promise to use it only to send you Eat More Raw!. Copyright 2010-2015 Raw-Food-Diet-Magazine.com. All Rights Reserved. This site is for informational use only. For medical advice consult a health professional.